We’re now over a week in Iowa. Things have been busy here, rushing to keep after the kids, and continuing to work on my paying gig (not fiction related, but still interesting to me nonetheless). 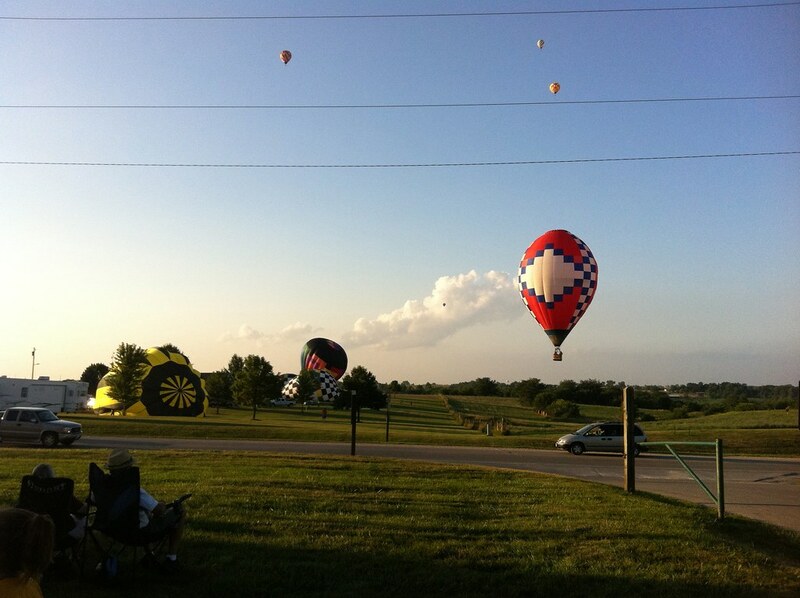 Yesterday, however, we took some time off to head south to the town of Indianola which has, for the past week or so, hosted a gathering of hot air balloonists, featuring daily races. 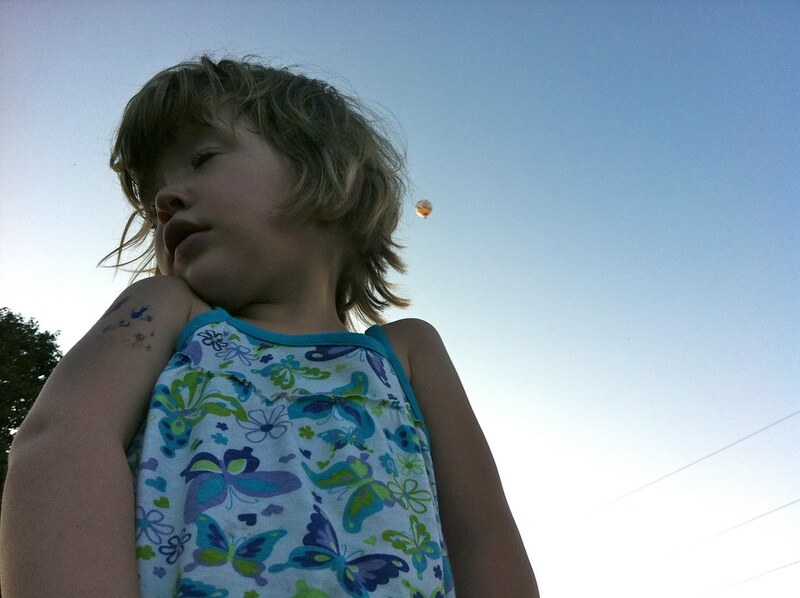 The traffic was intense for such a small town, but we found a good (and popular) spot by the side of the road where we watched the balloons rise while the sun set. 2002: Fathom Five First Draft Finished.